Behold the Prelude! She's now floating in the sea after leaving its South Korean dry dock for the first time. 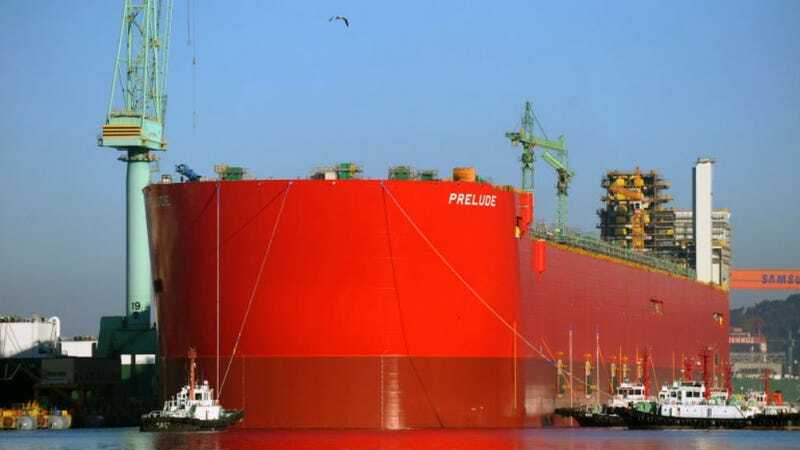 The ship is larger than the Empire State Building and it will be used for Shell's liquified natural gas operations in Western Australia.